Cyminology discography. 2009 release. The melody and texture of the Persian language exerts a subtle hold on the composing and improvising of the Berlin-based quartet. Bandleader Cymin Samawatie, the German-Iranian vocalist, sings her own Farsi lyrics as well as poetry of Sufi masters Rumi and Hafez, and 20th century verse of Forough Farrokhz„d. As Ney is quietly compelling, proposing a chamber Jazz from new and fresh perspectives. An unusual and highly attractive `intercultural' recording whose sensitive musicianship draws the listener in. ECM. Boasting band members from India, Europe, and Iran, Cyminology creates spare, piano-based music that draws on Eastern and Western traditions. 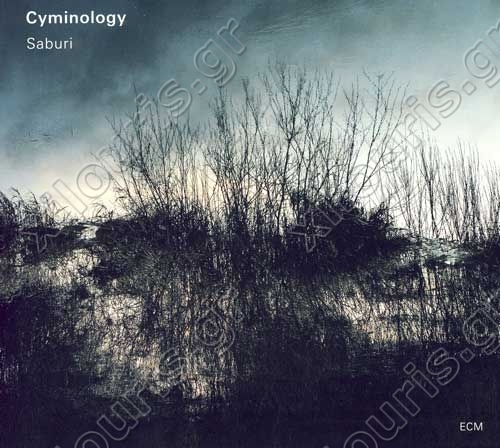 Fronted by Iranian singer and songwriter Cymin Samwatie, who writes lyrics in Farsi and takes inspiration from Persian poetry, Cyminology feels mythic and contemporary at once. The ambient, often melancholic feel of the songs on AS NEY, the group's ECM debut, is evocative, as is the blend of jazz, chamber music, and torch song intimacy. These qualities mixed with the group's multi-cultural make-up make Cyminology a house band for the global village.